The successful preservation of an historic building, complex or city depends on the continued use and daily care that come with it. The possibility of continued use depends on the adaptation of the building to modern standards and practice of living, requiring changes in constructional or structural features. 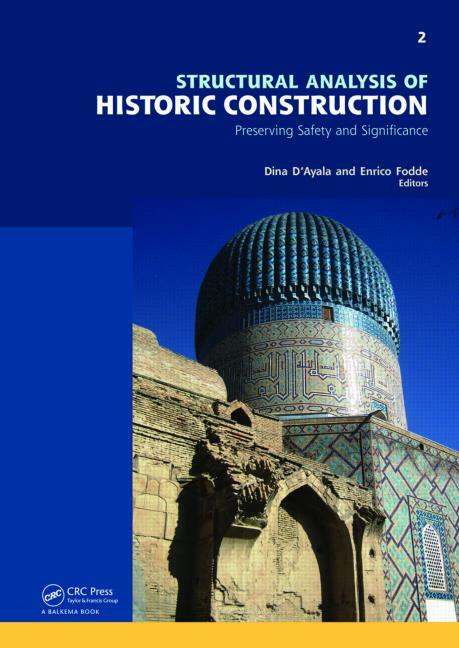 Conservation engineering is the process of understanding, interpreting and managing the architectural heritage to safely deliver it to posterity, enhancing private or public utility vis a vis minimum loss of fabric and significance. These two objectives are sometimes conflicting. With increasing global interest in conservation engineering it is essential to open the debate on more inclusive definitions of significance and on more articulated concepts of safety by use of acceptable and reliable technologies, integrating further the activity of all the professions involved in conservation. Concrete: Too young for conservation? Reconstruction of the Sistani House at Bam Citadel after the collapse due to the earthquake 2003"
Strengthening historic pedestrian suspension bridges: Public safety goes first! ?